I’ve little time of late, to do any kind of research on the many fun new wines I’ve come across. 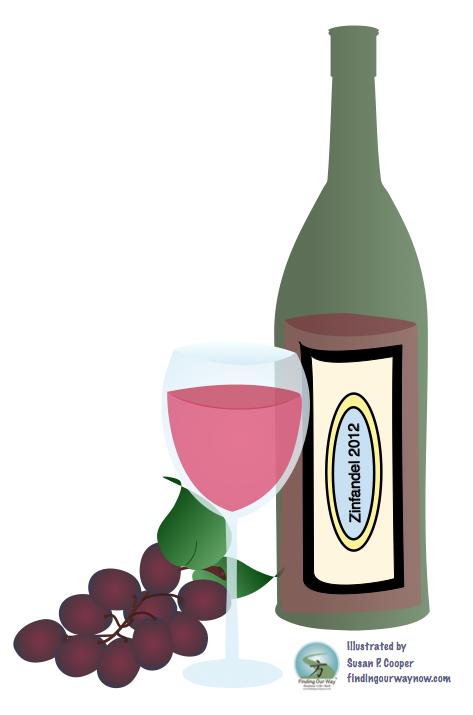 That said, I thought you might enjoy hearing about how my wine page came about on my blog. To set the record straight, I am, by no means, a wine expert. Like so many, I just know what kind of wine I enjoy. My wine page all started innocently enough. I have a dear friend, Elizabeth, who shares my interest in wine. When Elizabeth visits we go to the wine shop and select a wine we know, and for fun, one we don’t. A few months after I started the blog, I had mentioned a specific wine we had shared in a blog post. 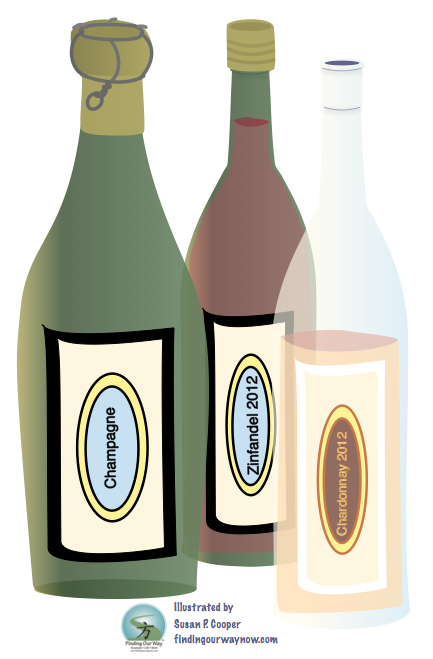 Elizabeth suggested I share our many wine finds on my blog. She had an ulterior motive. It was so she could keep track of what we liked and what I recommended. I did as she suggested at the very next opportunity. At first it was just a mention of the wine, tasting notes and an image. Over time, it has involved into researching and sharing a bit of history and information about each winery/vintner along with various pictures and tasting notes. Elizabeth and I still reminisce at the many times we’ve shared some really great wines. We also laugh about the wines we didn’t like (really hated), throwing them down the drain. Those wines never get posted… LOL. We still remember the fun we had in selecting wine when we were in need of a serious attitude adjustment; many good wines fit the bill very nicely indeed. Besides, it would be a sin to pass up an opportunity to enjoy a good glass of wine regardless of the reason; don’t you think? That is how my wine page got started and what it is today. To this day, Elizabeth still looks up wines on my blog when she’s out at the wine shop looking for a particular wine she knows she will enjoy. How cool is that? My wine page has continued to evolve. No surprise; I have found it to be a great deal of fun sharing my many discoveries with anyone who finds it of interest. I’m very fortunate to be living in and around the wine country. I never take that for granted. In addition to my wine discoveries, I love to research a bit about the winery/vintner who produces these delights. Through the years, I found myself partnering with multiple marketing and PR firms that bring new additions to what I now share on my blog. Having all this access has allowed me the opportunity to share information I uncover about the various wines, from boutique wineries to national brands. Regardless, I do enjoy sharing some of the delightful surprises I’ve found along the way. Irrespective of all that, I do enjoy taste-testing various wines and then sharing some of the pleasant surprises I have enco untered. Besides, a good glass of wine, especially with a friend, can always ease a frustrating and hectic day or help us celebrate whatever moves us. I invite you to join in the fun. If you find a bottle of wine you greatly enjoy, let me know. It would be great fun to pass it along on my wine blog, after taste-testing it, of course :-). As a side note, many of the wines I mention, most often, can be found on amazon.com, bevmo.com, totalwine.com, wine.com, or on the winery’s website. Many times these sites will offer free shipping, and they’re fast at delivering what you desire directly to you. So give them a look. 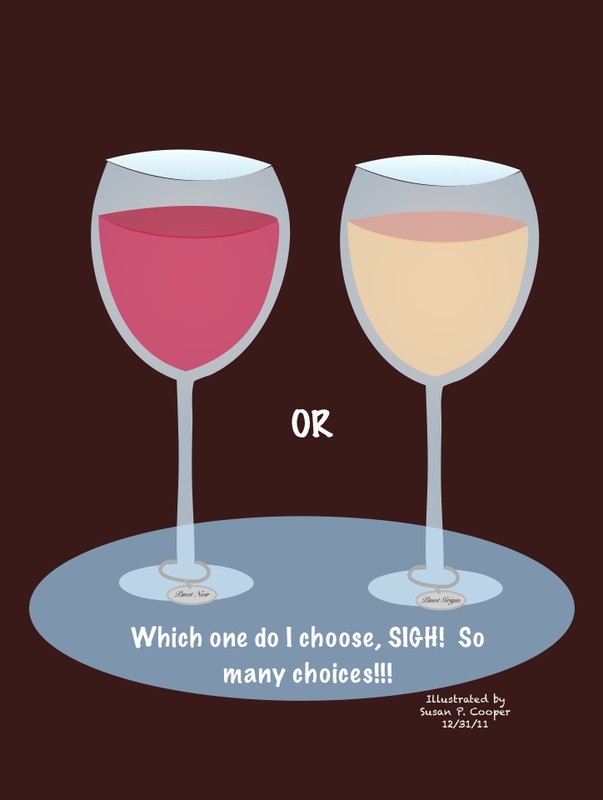 Last of all and for a bit of fun, check out a few of my wine page posts. Who knows, you might just find some great wines to give a try. Enjoy. BTW: Check out a few of my favorite wine tools below.